SKU: 890704329687 Stock: Not Available Category: Metal Crafts. Metal Hand Bell.This is Beautiful Hand Crafted Brass Metal Emboss Design Hand Bells. 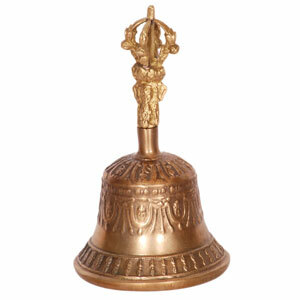 It Is a Beautiful Brass Bells Use For Decoration.This is genuine hand made cast brass metal Bell.This piece of metal art will enhance the beauty of your home which is certainly inexplicable.Decor your home distinctly with the inexplicable charm of our Metal ART.